Hey, just a quick update from our time with Maria Tran and her Quest for Jackie Chan. She’s been super busy with what seems like 101 different projects, but she’s going to be heading over to Hong Kong soon where she’ll hopefully meet Jackie Chan! 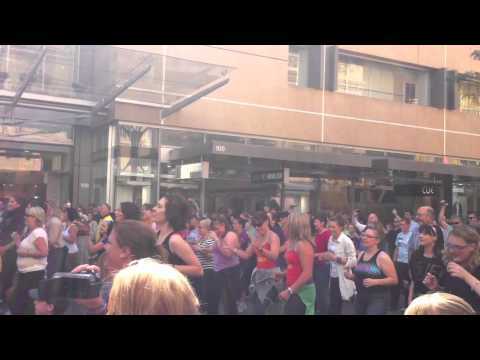 I would like to send a major shout out to the Adelaide Flashmobbers who are so bold, innovative and daring in their approach and wish them all the best in continuing to inspire the world, connect with the next generation and engage with the world with more fun and excitement. Cheers to you to, Maria. Your quest has inspired one of our best Flashmob events yet!